I was lucky enough to get a golden ticket to the Lush Milton Keynes Easter + Mother’s Day preview. Having thoroughly enjoyed their previous Halloween + Christmas event, I couldn’t wait to see the new products and demos before they were released in store. 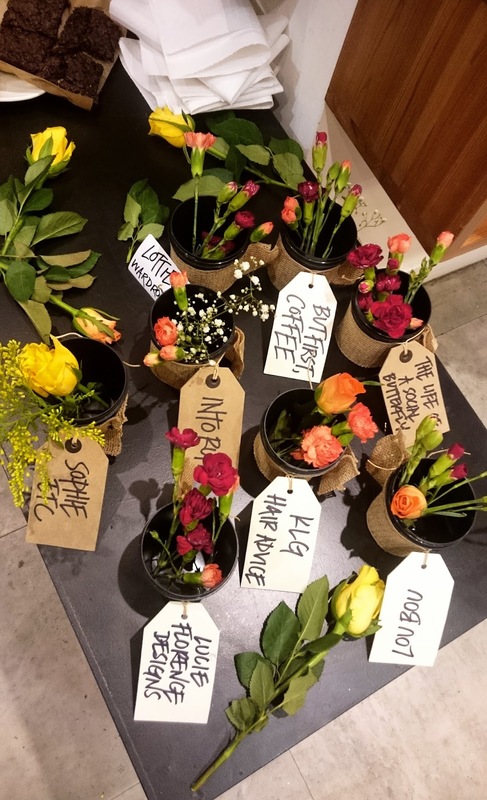 The theme of the evening was ‘Step into Spring’ with attendees asked to dress in their best Spring outfits, whilst they took in the smells and tour the latest products, which included gifts for both Mother’s Day and Easter. The full collection will be available online, though I have included a YouTube video giving the full rundown as well as featured some of my favourite products below. The Lush MK team enthusiastically demonstrated the latest Mother’s Day products, which were very touching gifts to give thanks to Mum. 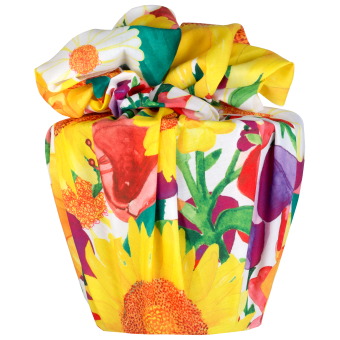 First up, the team brought out Mother’s Day, a bio-degradable coconut husk base that doubles as a plant pot, decorated in the most beautiful water-coloured knot wrap. 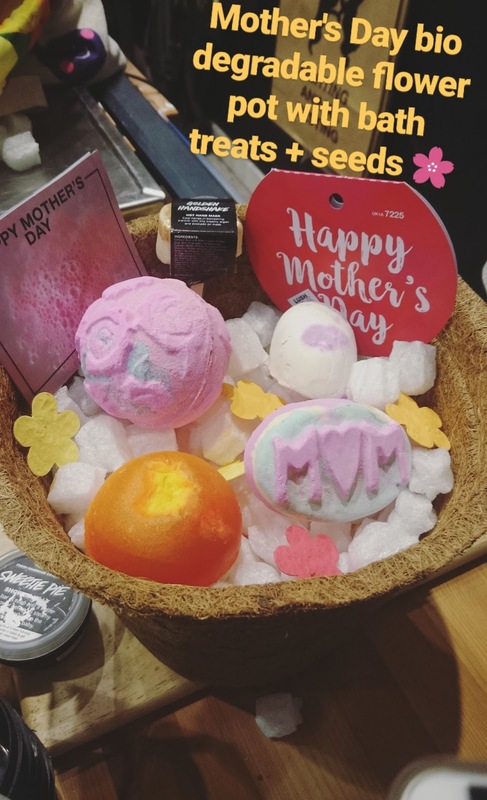 Inside the pot contains plantable seeded paper flowers as well as a variety of thirteen lush products to give Mum some well-needed relaxation. The perfect gift for a green-fingered Mum. Keeping with the theme of the previous Mother’s Day gift. This shower gel aptly called ‘Wash Behind Your Ears’ really reminded me of my Nanny, who used to say potatoes would grow behind my ears if I didn’t wash them properly! 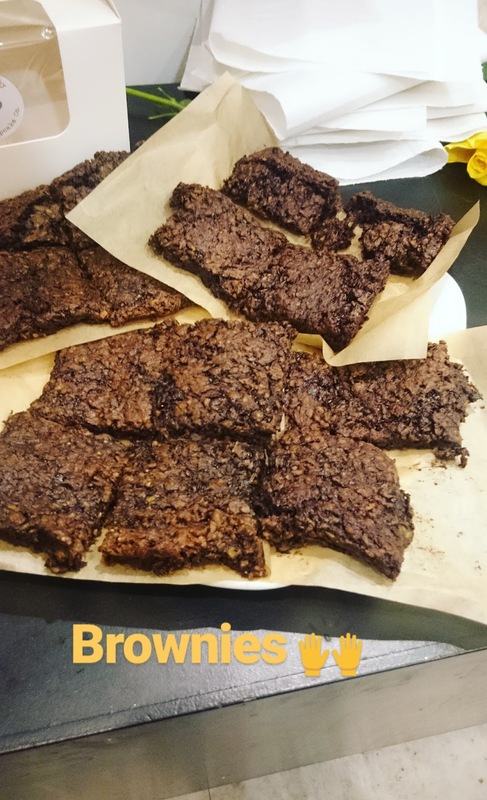 Whilst this memory may not portray the product in the best light, I am told it contains jasmine, rose gel and sunflower oil, therefore is much sweeter than it sounds! Probably the most colourful of the Mother’s Day bath bombs, Ups-A-Daisy is in vibrant orange and yellow colours. As explained in my YouTube video found further down this post, this bath bomb is decorated in colours suitable for either sunrise or sunset. Slowly releasing an array of sunny colours and uplifting notes, Ups-A-Daisy is sure to be a bestseller for Mother’s Day. Another product with two different colours, is Mum; a soap shaped bath bomb. As the bomb fizzes away in the bath a note is released, giving Mum a well-deserved thanks. A very sweet surprise. My favourite of the products shown was undoubtedly Scrubee, the cutest little body butter and packed full of honey and cocoa butter. 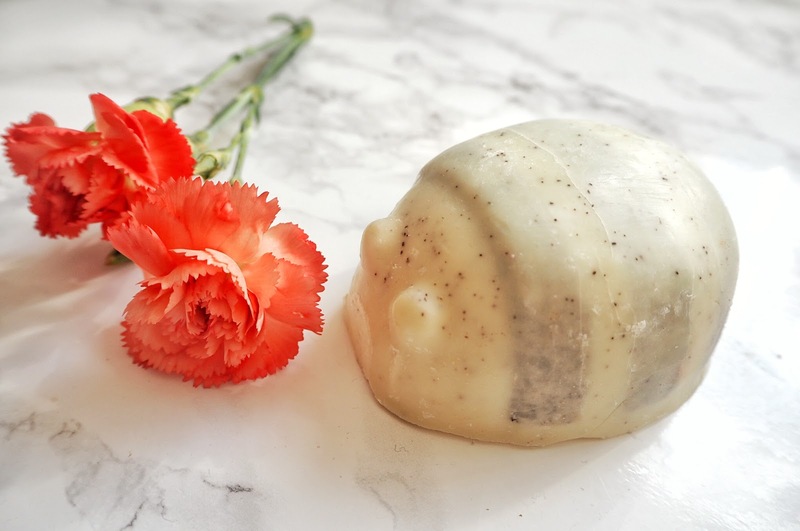 Scrubee, may not be as colourful as the other products but smells absolutely divine – looks and smells like white chocolate! Almost good enough to eat! Don’t be underestimated by the cuteness either, as one side acts as a gentle exfoliant to buff skin with the other side giving a soft, moisturising feel to your skin. I loved that it gave my skin a pearlescent glow, ideal to keep skin looking bee-utiful for an evening out! As you can tell by my last Mother’s Day entry, Scrubee, it isn’t even Easter yet and I’m already craving chocolate. 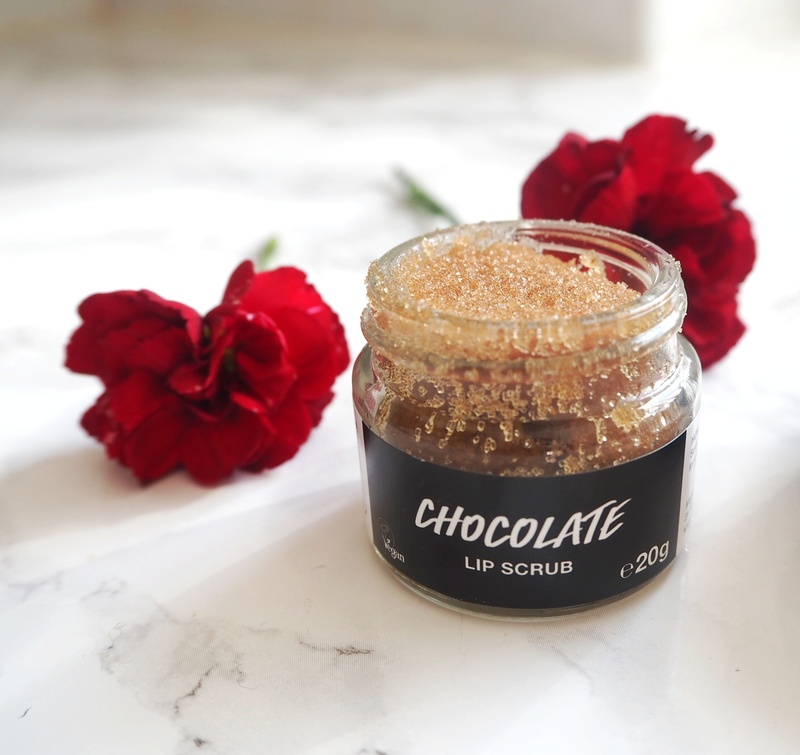 Before I get all Veruca Salt (Charlie & The Chocolate Factory) and start demanding The Golden Egg…yes please…another product I loved was the Chocolate Lip Scrub. Those of you that read my intu MK Christmas post will know at Christmas I went crazy for the Bubblegum Lip Scrub as not only does it smell amazing it actually tastes like bubblegum. 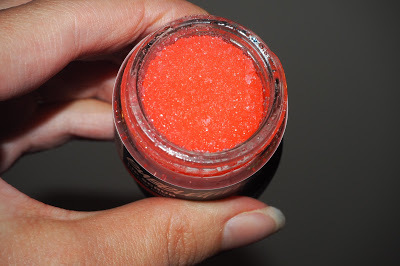 Having tried, The Kiss scrub in February, in my opinion, this still did not compare to my beloved Bubblegum Lip Scrub. 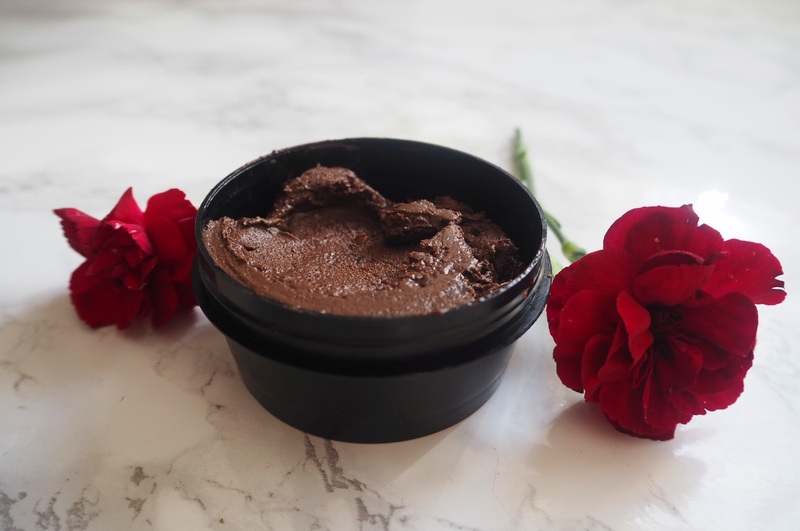 Low and behold the Chocolate Lip Scrub which tastes like chocolate orange, my all-time favourite chocolate! It’s not Terry’s it’s mine!! Ok, now in full Veruca mode – how amazing is The Golden Egg…! Priced at £28.95, Golden Egg is the most expensive of the Easter selection but as stated by the Lush MK Team, it will last that much longer than devouring a real chocolate egg and is a great alternative to chocolate this Easter. Inside are four products: Golden Egg Bath Melt, Chocolate Easter Egg Soap, Chick ‘N’ Mix and Which Came First? I want it NOW!!! 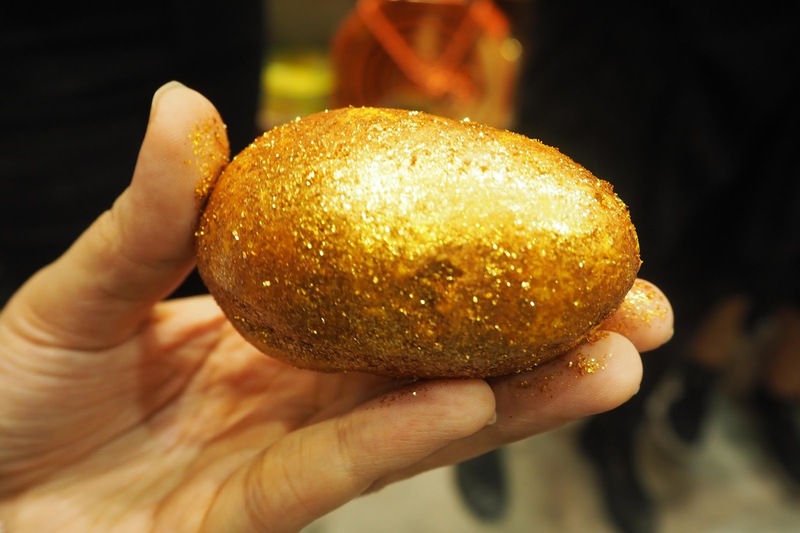 The Golden Egg also has a sparkly counterpart, which tops the Halloween Pumpkin on the glitter factor. This bath melt is uber sparkly, caked in gold lustre and is super softening containing orange oils and cocoa butter. Yet another chocolate orange product, I think I’ll have to succumb to the chocolate cravings to stop me from eating these bath products! Warning – do not eat! The largest of the Easter bath bombs, Chick ‘N’ Mix is a three-part bath bomb. 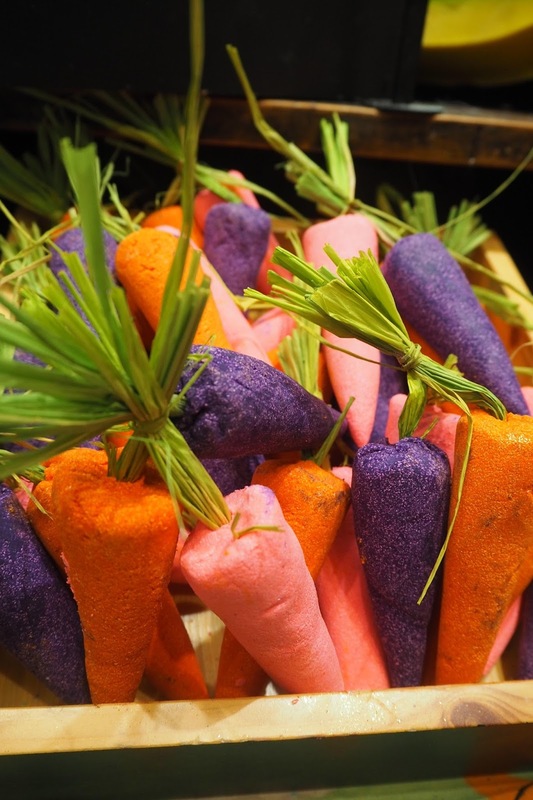 Ideal if you want to cherish another chilled bath, though the colours do look amazing when the product is used whole. Containing bergamot oil and tonka, Chick ‘N’ Mix is an uplifting bath bomb to put a little spring into your step! 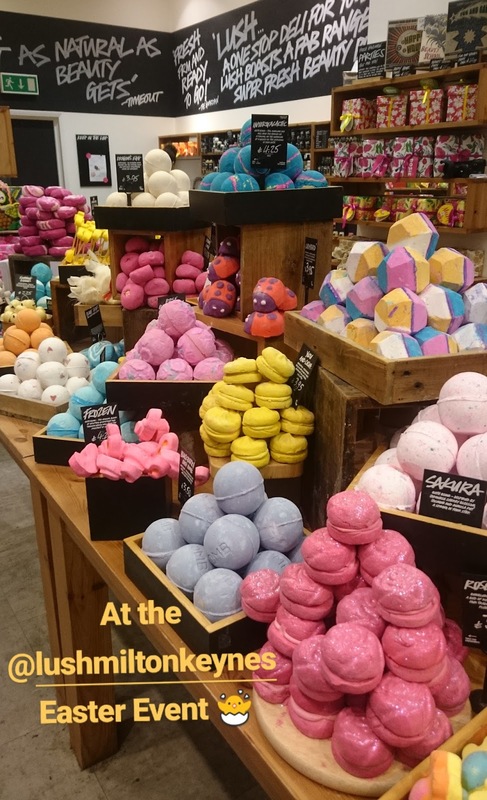 As always when Lush release a new range it is so difficult not to end up buying everything! The Mother’s Day products proved to be the sweetest gift to say thanks to Mum. Who needs flowers, when you have these products containing zesty sweet smells of rose, jasmine, orange and cocoa butter to uplift and relax Mum. 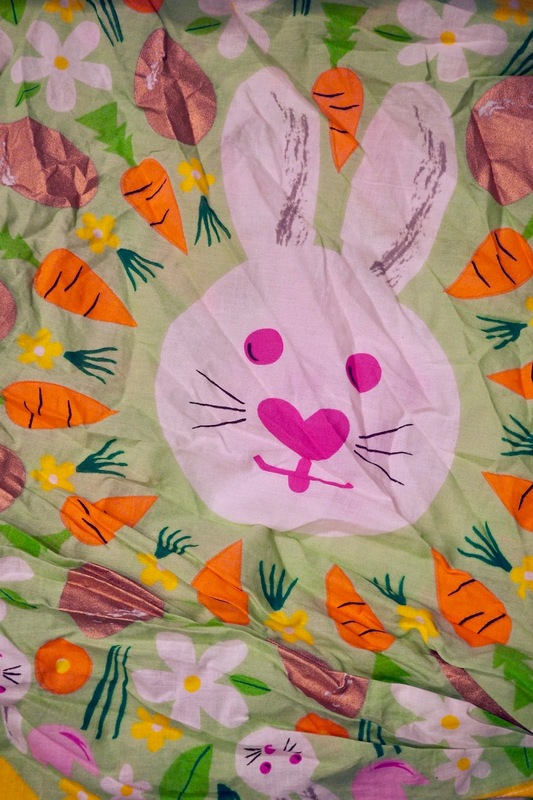 The Easter products were a great alternative to chocolate, though the fact they mostly contained cocoa and orange = chocolate orange (my all-time favourite chocolate) will inevitably mean I will be craving chocolate more than ever! 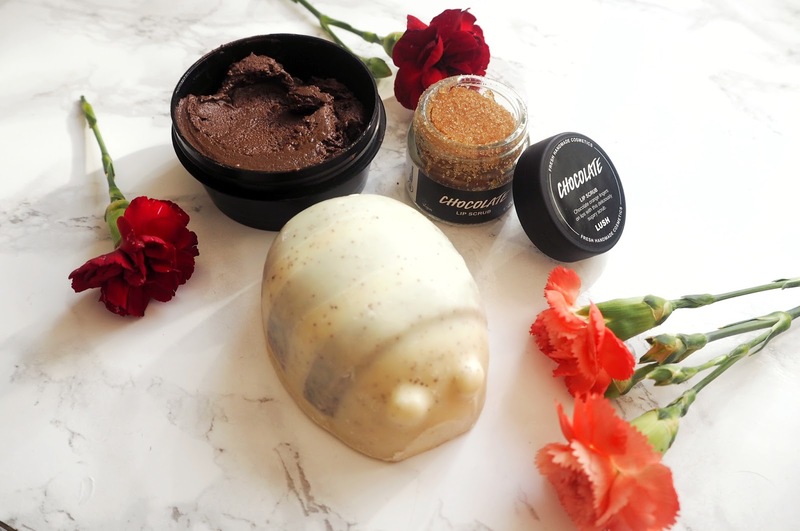 Needless to say, I had to buy Scrubee (with its white chocolate smell) and the Chocolate Lip Scrub, which smelt and tasted like chocolate orange! The Lush MK Team kindly gifted us all a sample face mask of our choice. I choose Cupcake, which you guessed it contains cocoa powder! 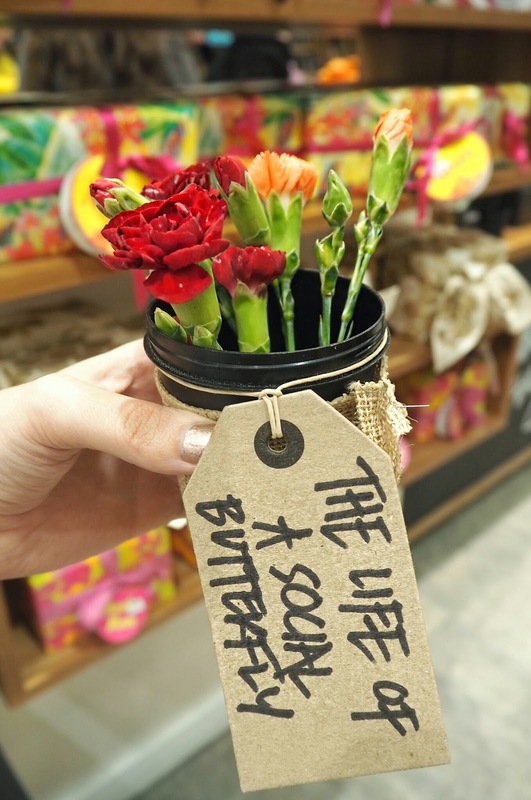 Thanks to the Lush MK Team for inviting me to another fabulous event and for this cute little pot with flowers – I love it! The event wouldn’t have been complete without the yummy cupcakes from The Giant Cupcake Company – check out the Facebook page by clicking here. 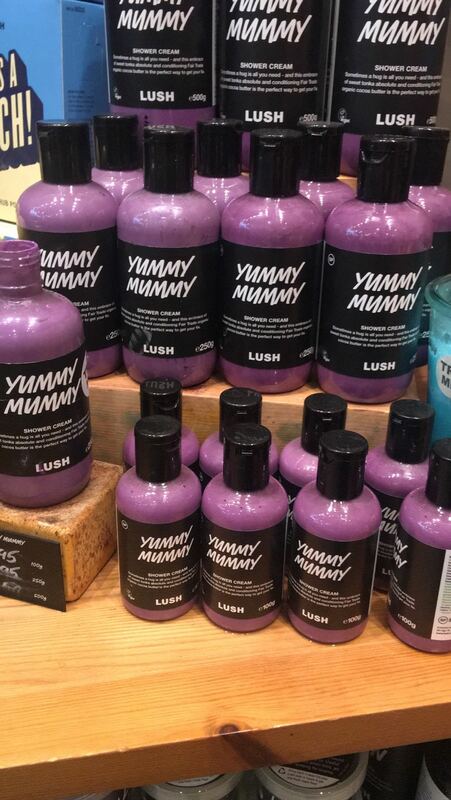 What are your favourite Mother’s Day + Easter Lush products? Let me know in the comments box underneath. 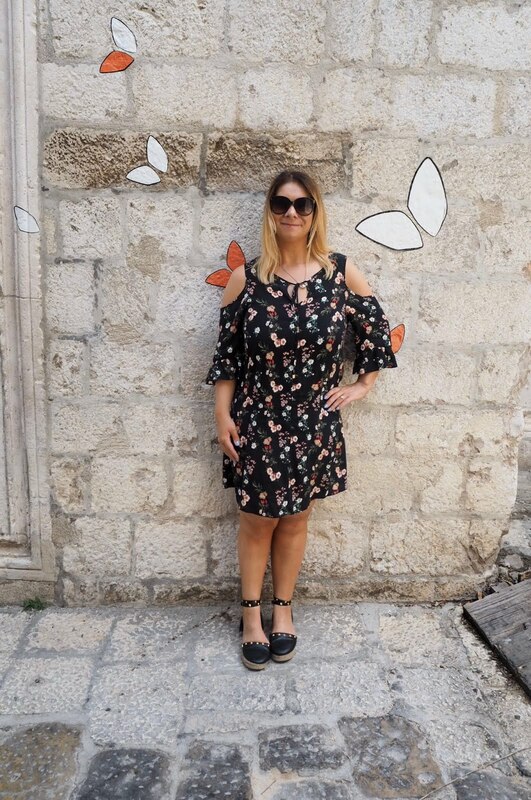 Blogger from Milton Keynes U.K.
A self-confessed social butterfly, I love nothing more than seeking out colourful travel destinations & enjoying affordable luxury experiences.